The pair did manage to eliminate yesterday’s gap and right now nothing can prevent the price from growing up inside the fifth wave. The pair may reach a new local maximum on Tuesday. 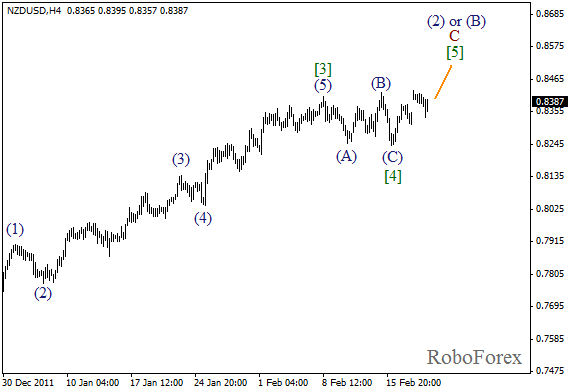 The target for the bulls is the level of 0.8500. More detailed wave structure is shown on the H1 chart. 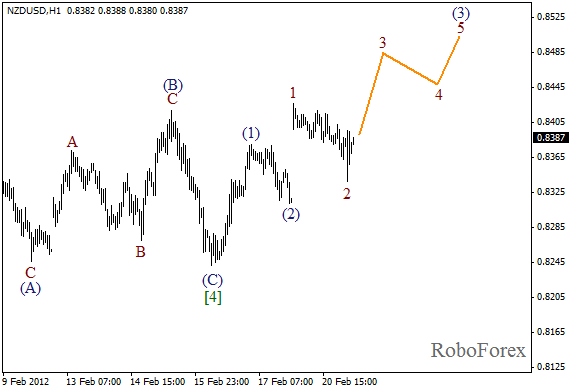 It looks like wave (3) is going to be extended with the second wave inside it. In the near term, we can expect the price to start growing up while forming wave 3 of (3). 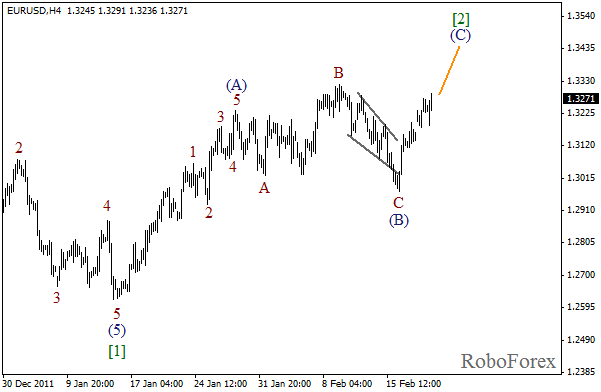 After completing diagonal triangle pattern in wave C of (B), Euro continues growing up steadily. 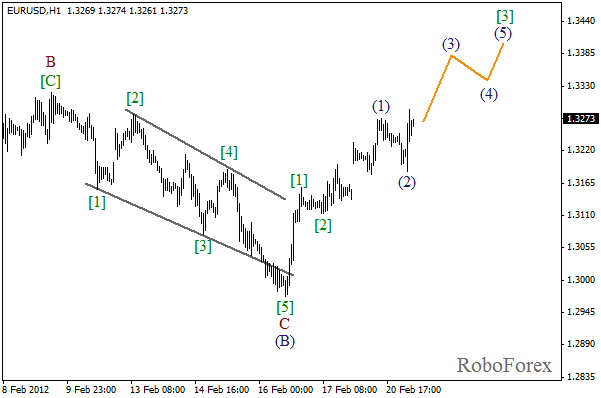 There is a possibility that the price may reach a new maximum of wave B on Tuesday. The target for the bulls during this week is at the level of 1.3500. It looks like the price is going to form an extension in wave . On the minor wave level the pair completed wave (2) and right now is about to start growing up inside the third one. During the day the market may continue moving upwards.